Department of Quality Assurance and Pharmacognosy, Bharati Vidyapeeth College of Pharmacy, Kolhapur - 416013, Maharashtra, India. ABSTRACT: The Pharma market is getting flooded with fixed dose combination drugs due to better patient compliance, has but created a challenging situation for analytical chemists. 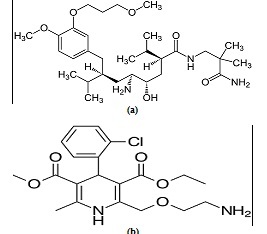 The objective of study was developing an analytical method for simultaneously estimating aliskiren and amlodipine in combination with their forced degradation products obtained by treating the sample under tress conditions like acid and base hydrolysis (0.01N HCl, and 0.01 NaOH, oxidation(3% H2O2), photolytic and thermal degradation(80oC). The linearity ranging was 2.5-25μg/ml and 10-100μg/ml of Amlodipine and Aliskiren and regression coefficient was found to be 0.998 and 0.996 respectively. The chromatographic separation of analyte was carried out using JASCO HPLC system with HiQ Sil C8 (4.6mmØ × 250mm, 5 𝜇) column. The mobile phase consists of acetronitrile and pH was adjusted to 4 with orthophosphoric acid solution. The analyte were detected at 210nm using UV detector with flow rate of 1ml/min. INTRODUCTION: The Pharma market is getting flooded with fixed dose combination drugs 1, 2 as they have shown better patient compliance but created a challenging situation for analytical chemists 3. The objective of study was developing an analytical method for simultaneously estimating pure drugs in combination with their degradation products 4, 5. Aliskiren and Amlodipine used in fixed dose combination for treatment of hypertension 6. Aliskiren act as rennin inhibitor 7, 8 and Amlodipine acts as calcium channel antagonist 9, 10. Chemically, Aliskiren is (2S, 4S, 5S, 7S)-N-(2-carbamoyl-2-methylpropyl)-5-amino - 4 - hydroxy-2,7-diisopropyl-8-[4-methoxy - 3 - (3 me -thoxy propoxy) phenyl] –octanamide (Fig. 1a) and Amlodipine is 3-ethyl-5-methyl 2-[(2-amino ethoxy)methyl]-4-(2-chlorophenyl)- 1, 4 - dihydro pyridine-6-methyl-3,5-dicarboxylate (Fig. 1b) 11, 12. Analytical methods like HPLC, UV-Spectrophotometric were reported for the characterization of individual drug and combination with other drug. However no reported stability indicating HPLC method for fixed dose combination of Aliskiren and Amlodipine. The present study was done to developed stability profile development by using simultaneous estimation method for fixed dose combination of Aliskiren and Amlodipine using HPLC. Reagent and Chemicals: Amlodipine provided by Sun pharmaceuticals limited, HP and Aliskiren provided by Novartis healthcare Pvt. Limited. Methanol and Acetonitril (HPLC grade) provided by VETEC Bangalore. Distilled water prepared by glass distillation apparatus. Ortho phosphoric acid, Hydrogen peroxide, Sodium hydroxide, Hydrochloric acid was purchased. Instrument: The chromatographic analysis was carried out on Jasco-HPLC with Pump 2080 Plus and Detector UV 2075 plus. With flow rate 1ml per minute. Brownis software was used for sample monitoring and processing. UV cabinet was used for photolytic degradation and Hot air oven was used for thermal degradation study. Chromatographic Condition: The chromatographic separation of analyte was carried out using JASCO HPLC system with HiQ Sil C8 (4.6mmØ × 250mm, 5 𝜇) column. The mobile phase consists of Acetronitrile and pH was adjusted to 4 with orthophosphoric acid solution. The analyte were detected at 210nm using UV detector. The flow rate was set at 1ml/min. Preparation of Stock Solution: Standard stock solution of Aliskiren and Amlodipine were prepared separately by dissolving 10 mg of Aliskiren and 10 mg of Amlodipine in 10 ml volumetric flask with mobile phase as diluents and sonicate for 5 min. from above solution prepare the deferent aliquots for mixture of Aliskiren and Amlodipine. Forced Degradation Study: Forced degradation studies of the fixed dose combination of drug were carried out by treating the sample under tress conditions like acid and base hydrolysis, oxidation, photolytic and thermal degradation and resultant degradation products was investigated. These study help to know stability characteristics of the drug and the possibly degradation products 13. Preliminary Study: In the preliminary examination, observations are made about sample stability, including exposure of solid state samples to heat and light and exposure of solutions to various pH and oxidative conditions. Preliminary study can also be used to aid in the development of an analytical method. Acid Degradation Study (HCl): To the 5ml of stock solution of the Amlodipine and Aliskiren, 5 ml of 0.01N HCl was added and stand for 1 hour at room temperature. The resultant solution was neutralized by using 0.01N NaOH and diluted. The solutions were injected into the system and the chromatograms were recorded to assess the stability of the sample. Base Degradation Study (NaOH): To the 5ml of stock solution of the Amlodipine and Aliskiren, 5 ml of 0.01N NaOH was added and stand for 1 hour at room temperature. The resultant solution was neutralized by using 0.01N HCl and diluted. The solutions were injected into the system and the chromatograms were recorded to assess the stability of the sample. Oxidative Degradation (H2O2): To the 5ml of stock solution of the Amlodipine and Aliskiren, 5 ml of 3% H2O2 was added and stand for 30 min. at room temperature. The resultant solution was diluted. The solutions were injected into the system and the chromatograms were recorded to assess the stability of the sample. Thermal Degradation: The standard stock solution was placed in the oven at 80 ºC for 2 days. The resultant solution was diluted. The solutions were injected into the system and the chromatograms were recorded to assess the stability of the sample. Photolytic Degradation: The photochemical stability of the drug was studied by exposing a standard stock solution to UV light by keeping the beaker in the UV chamber for 3 days. The resultant solution was diluted. The solutions were injected into the system and the chromatograms were recorded to assess the stability of the sample. Method Validation: The method was validated for system suitability, linearity, accuracy, precision, Robustness, limit of quantitation and limit of detection as per ICH Q2 (R1) Guidelines 14. Stability Study: The stability study of the FDC was carried out by using stability chamber for three months as per the ICH Q1A (R2) guidelines 15. Method Development: A series of trials was conducted with different columns like C-8 and C-18 with different mobile phases to develop a suitable HPLC method for simultaneous estimation of Amlodipine and Aliskiren in Fixed dose combination. Finally a typical chromatogram was obtained with Acetonitrile and pH was adjusted to 4 with orthophosphoric acid at a flow rate of 1ml/min. Chromatographic separation was performed on HiQ Sil C-8 (4.6mmØ × 250mm, 5 𝜇) column and analyte were detected with UV detector at 210nm. The retention time of Aliskiren and Amlodipine was found to be 2.8 and 2min, respectively. Forced degradation study was also carried out using developed method and degradation compounds were effectively resolved from the Aliskiren and Amlodipine in fixed dose combination. The optimized separation conditions were given in Table 1. Method Validation: The validation was performed with above developed method HPLC method for simultaneous estimation of Amlodipine and Aliskiren according to ICH guidelines. System Suitability: System suitability was performed to verify the acceptability of the resolution of the system. Parameters such as peak area, USP tailing, theoretical plates, retention time and peak symmetry were evaluated. The % RSD was found within limits. The results were shown in Table 2. Retention time 2.8 min. 2 min. Linearity: The linearity of the method was determined by using different concentration ranging from 2.5-25μg/ml and 10-100μg/ml of Amlodipine and Aliskiren respectively. The linearity curve was constructed by plotting peak area versus concentration of analyte. From the results obtained proposed method found to be linear. The regression coefficient was found to be 0.998 and 0.996 for Aliskiren and Amlodipine respectively. The overlain chromatogram was shown in Fig. 2. Accuracy: The accuracy of the proposed method was evaluated by calculating the recovery study of the drug at three different concentration levels (80%, 100% and 120%) by using spike method. The mean percentage recovery of Aliskiren and Amlodipine was varied between 99.1 and 101% indicate that the developed method was found to be accurate. The % recovery results were shown in Table 3. Precision: The precision of an analytical procedure define as the closeness of agreement between a series of measurements obtained from multiple sampling of the same homogeneous sample under the prescribe conditions. The %RSD was calculated from the chromatogram and result obtained were within the limit of 2% hence proposed method was found to be precise. The precision results were given in Table 4. LOD and LOQ: In the present study the LOD and LOQ of Aliskiren and Amlodipine were evaluated based on the Based on the Standard Deviation of the Response and the Slope. The limit of quantitation and Limit of detection is performed to know the lowest concentration level of the analyte that gives measurable response. The LOD was found to be 0.000478 and 0.0001037 and LOQ was found to be 0.001457 and 0.0003142 for Aliskiren and Amlodipine respectively. Robustness: Robustness of the proposed method has been evaluated by small deliberate change in the system parameter such as flow rate. It was found that there is no change in the peak area and retention time by small change like ±0.1 ml change in flow rate. The % RSD was found to be within the range and method was found to be robust. The robustness results were shown in Table 5. Forced Degradation Studies: In the present study Forced degradation studies were carried out to develop stability profile for the fixed dose combination of Amlodipine and Aliskiren and ensure the effective separation of both drugs from degradation products. Degradation was observed by generation of different peaks with different retention time with respective original peaks of drug. 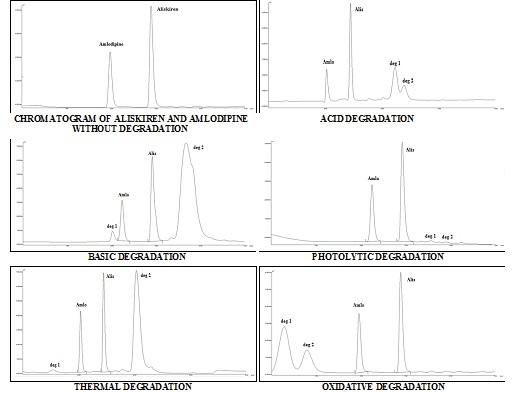 The percentage assay of degradation was calculated from the peak area obtained in degradation conditions and it was compared with assay of non degraded conditions. From the chromatograms (Fig. 3), it was found that both the drugs are susceptible to Acid, Base and photolytic degradation and percentage assay degradation was found to be within the range. The Amlodipine was more susceptible to thermal degradation than the Aliskiren and the Aliskiren is more susceptible to oxidative degradation than Amlodipine. In all the conditions the purity angle was found to be less than that of purity threshold which indicates that the developed method was stability indicating. The forced degradation studies were performed without intending to identify the degradation products but merely to show that they are not interfering with active molecule if any present. The results of forced degradation study were shown in Table 6. Stability Study: The fixed dose combination of Amlodipine and Aliskiren does not undergo any substantial changes during 3 months stability testing as per ICH guidelines. Hence we can say that the combination of Amlodipine and Aliskiren has shown good short term stability. CONCLUSION: On the basis of results and statistical evaluation it can be concluded that, the prime objective of developing simple, accurate, precise, specific and selective analytical methods for simultaneous estimation of Amlodipine and Aliskiren from FDC, as well as in the presence of their degradation product was a successfully achieved. The developed methods can be applied for routine testing of drug stability. ACKNOWLEDGEMENT: Authors wish to acknowledge Sun pharmaceuticals limited, Novartis healthcare Pvt. Limited for providing gift sample. Authors are also thankful to Principal, Dr. H. N. More of Bharati Vidyapeeth College of Pharmacy, Kolhapur for providing excellent facilities to carry out synthetic work. Wana, P. Mab, X. Zhang, et al. : A promising choice in hypertension treatment: Fixed-dose combinations. 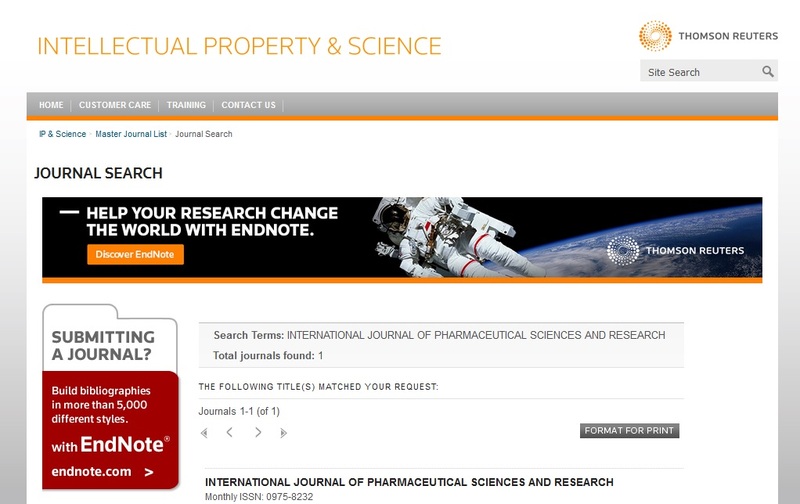 Asian Journal of Pharmaceutical Sciences. 2014; 9: 1-7. Balasubramanian, N. Radhika, A. Badarinath et al. : The crave of fixed dose combination in Indian market. Asian Journal of Pharmaceutical and Clinical Research. 2014; 7, (4): 106-110. H. Gradman, B.L. Basile, B.I. Carter, et al. : American society of hypertension writing group, combination therapy in hypertension. J. Clin. Hypertens. (Greenwich), 2011; 13: 146-154. Venkata, S. Ram, MD, et al. : Fixed-Dose Triple-Combination Treatments In the Management of Hypertension, Vasc Health Risk Management. 2008; 4(3): 653-664. Kavathia, M. Misra, et al. : Development and validation of RP-HPLC and UV spectrophotometric methods for rapid simultaneous estimation of amlodipine and benazepril in pure and fixed dose combination. Arabian Journal of Chemistry. 2013; 1-8. Blessy, R. Patel, P. Prajapati, Y. Agrawal, et al. : Development of forced degradation and stability indicating studies of drugs A review, Journal of Pharmaceutical Analysis. 2014; 4(3):159-165. Wal, A. Wal, A. Rai, and A. Dixit, et al. : “Aliskiren: an orally active renin inhibitor,” Journal of Pharmacy and Bioallied Sciences. 2011; 3(2): 189–193. W. M. Cheng, et al. : “Aliskiren: renin inhibitor for hypertension management,” Clinical Therapeutics. 2008; 30(1): 31–47. 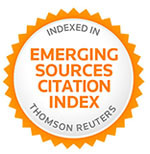 Qiu, Z. Wang, B. Wang, et al. : Simultaneous determination of irbesartan and hydrochlorothiazide in human plasma by ultra performance liquid chromatography tandem mass spectrometry and its application to a bioequivalence study. J. Chromatogr. B: Analyt. Technol. Biomed. Life Sci. 2014; 957; 110-115. Runja, P. Ravikumar and S. Avanapu, et al. : A Validated Stability Indicating RP-HPLC Method Development and Validation for Simultaneous Estimation of Aliskiren Hemifumarate and Amlodipine Besylate in Pharmaceutical Dosage form, Hindawi Publishing Corporation Chromatography Research International. 2014; 1-7. The Merck Index: An Encyclopedia of Chemicals, Drugs and Biologicals, Merck & Company, White House Station, NJ, USA, 15th edition 2013. Singh and Z. Rehman, et al. : Current trends in forced degradation study for pharmaceutical product Development, Journal of Pharmaceutical Education and Research. 2012; 3(1): 54-63. The Ministry of Health, Labor and Welfare, Validation of analytical procedures. The Japanese Pharmacopoeia, Sixteenth edition, 2011.
International Conference on Harmonization of Technical Requirements for Registration of Pharmaceuticals for Human Use. Impurities in New Drug Substances, Q3A (R2), 2006. Choudhari S, Pishawikar SA, Killedar SG and More HN: Stability profile development using simultaneous estimation method for fixed dosed combination of Aliskiren and Amlodipine by HPLC. Int J Pharm Sci Res 2018; 9(6): 2418-23. doi: 10.13040/IJPSR.0975-8232.9(6).2418-23. Authors Address: Bharati Vidyapeeth College of Pharmacy, Kolhapur, Maharashtra, India.